Considered to be one of the purest salts in the world, Himalayan salt is mined by hand and carefully shaped into salt lamps, crystals and cooking blocks! 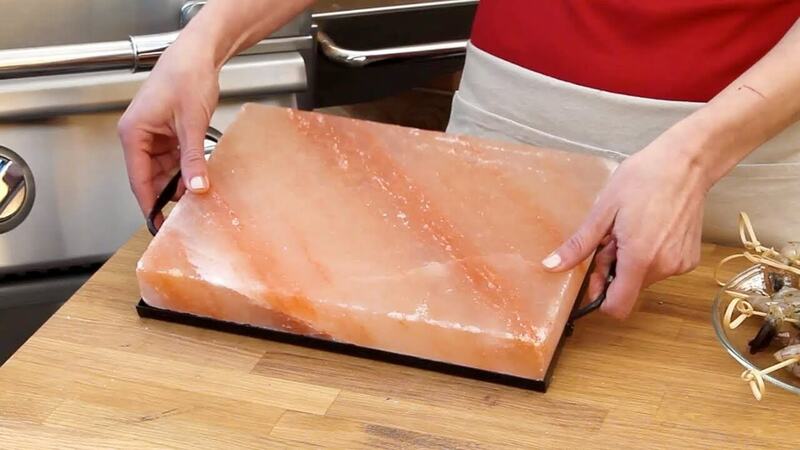 If you haven't tried cooking with a Himalayan Salt Block, now is the time to start. Whatever you believe about it's spiritual or healing abilities, you won't be able to deny it's super powerful effect on your food. Made from 200 million-year-old fragments of an ancient sea, the salt is unearthed from layers of lava, snow, and ice. It was protected by the Himalayan mountains from pollution and preserved for millennia. The block can be heated over a barbecue or a gas stove. If you use it inside, slowly heat it the block over a burner until drops of water sizzle when sprinkled on the surface. 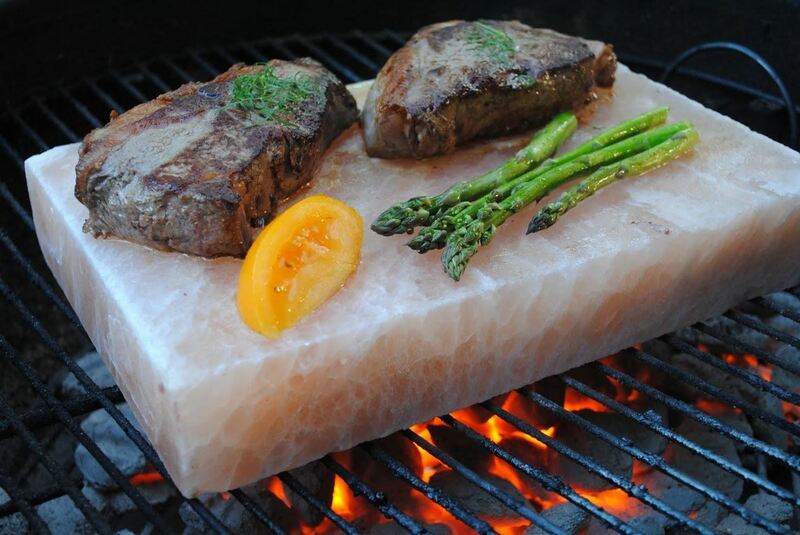 Himalayan salt has almost 80 different minerals. Plenty of which are essential to the body, they add to the salt’s distinct taste and texture. 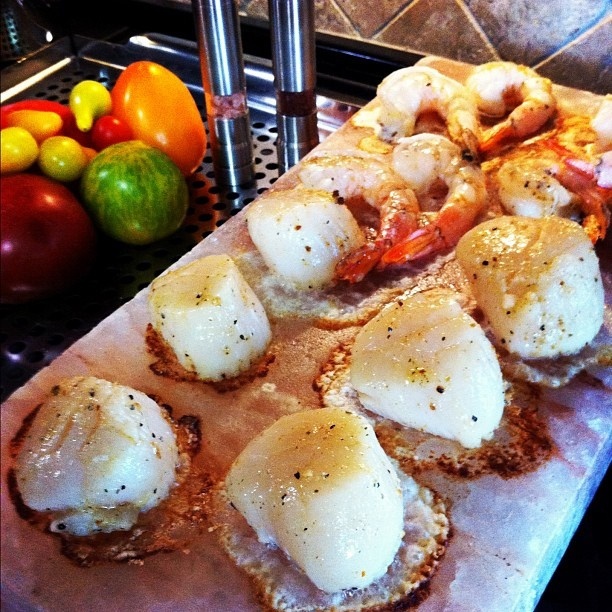 Essentially a block of salt, there's no need to add high-sodium table salt to your cooking. Just let the delicious flavor-enhancing block season your fish, poultry and beef. Including Himalayan in your diet could boost your immune system. Recent studies suggest that sodium could contribute to stronger immune responses and faster healing times. 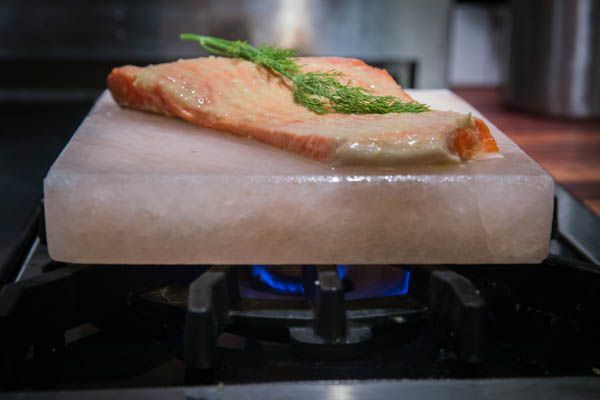 Unlike table salt that goes through a refining process, Himalayan salt is not heated and nothing is added to it, preserving both the mineral concentrations and the color. Sodium neutralizes acids in your body and helps maintain a healthy pH throughout blood and tissues. A Google search shows that these blocks range in price from mid $30s to as high as $150 USD. No matter what your budget is, it's definitely worth a try for healthier, tastier cooking!